I’ve been a fan of this app for many years. I enjoy having updated wallpapers with high quality and relaxing photography each day. I have, however, noticed recently that the app seems to have not been updated for at least two weeks. Lately, it seems as though the app developers aren’t spending any time on the app. 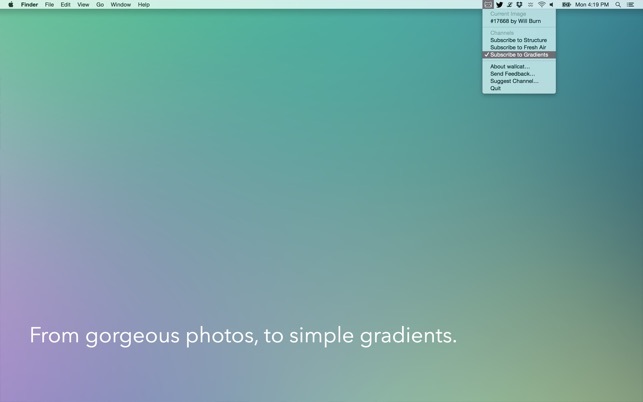 I would have recommended this app initially, but if you are considering it now it isn’t really living up to the “Wake up every morning to a new, hand picked desktop image”. In sum, this app isn’t living up to its own promises lately. 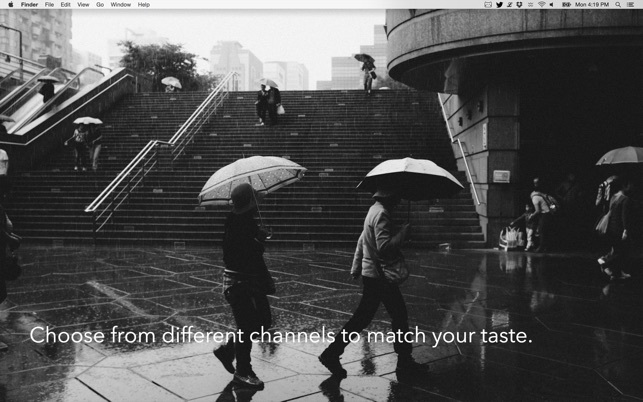 I love the simplicity of this app and the gorgeous wallpapers that it displays every day. Personally, I use the “Fresh Air” channel, which has outdoor-themed photography. Some reviews have complained about the photo not changing every day. I haven’t noticed this myself. However, this could happen if you accidentally close Wallcat. 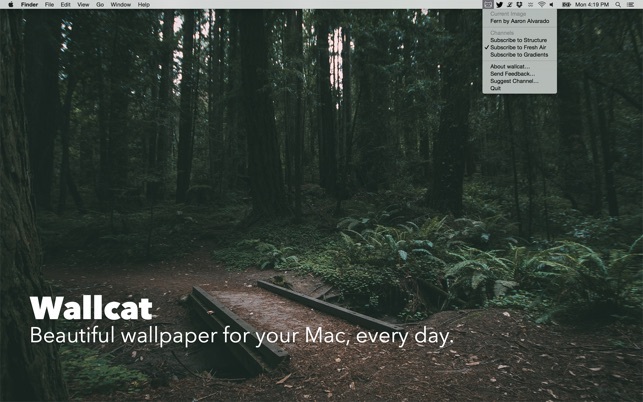 If you reopen Wallcat, the wallpaper immediately updates.